According to statistics from the World Bank, Haiti is the poorest country in the Americas, with over 6 million of the population of approximately 11 million (59%) living below the Haitian national poverty line of US $2.41/day, and more than 2.5 million falling below the extreme poverty line of $1.23/day. The Haitian government provides very little funds to support public education. As a result, 90% of primary (elementary) schools in Haiti are not public, but instead operated by individuals, communities and charitable organizations. Only 22% of primary school students graduate and attend secondary (high) school. On January 12, 2010, a magnitude 7.3 earthquake devastated Haiti. The earthquake killed more than 230,000 people, injured more than 300,000 people and displaced 1.5 million people. In an effort to find space for shelters after the earthquake, the Haitian government declared 18,000 acres of hilly land north of the capital, Port-au-Prince, public domain. This area, called Canaan, has seen more than 200,000 Haitians move in. Canaan lacks running water, sanitation and electricity. 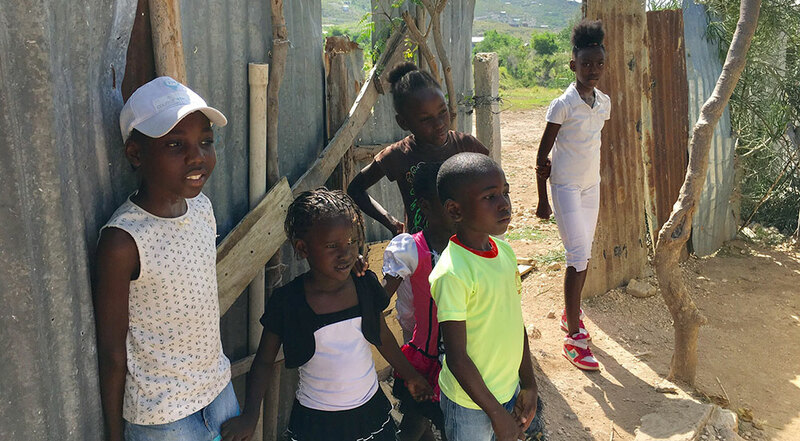 3 Generation Education is working in a region of Canaan where a Haitian American pastor, Arthur Demosthenes, built a primary school, a health clinic and cisterns (water storage tanks that collect rainwater) with support from many donors over the last 5 years. The school, named Grace school, is home to more than 280 students (grades K-6), 12 teachers/aides and 4 ladies who cook lunch each day. The students and teachers of Grace primary school have access to only a few outdated books. We feel that just bringing more books will not help to improve the learning situation. Something that’s a step beyond is needed. Our goal is to bring the students of Grace school digital content from all the amazing resources we take for granted. We are partnering with Haiti Futur to provide a computer and projector system for the digital content and the solar power to run it. The cost for installing a technology platform, including necessary solar panels to provide electricity and training for the teachers, is $25,000. Our goal is to raise this amount in time for planning and implementation during the summer of 2019. We are truly excited about this opportunity to work with the students, teachers and the school community to provide them this empowering technology!